Philemon Yebei joined the Office of the Executive Vice President for University Academic Affairs in March 2018 as Assistant Vice President for Administration. He manages the University Academic Affairs budget and administration, serves as the fiscal liaison between IU's regional campuses and the university's Vice President and Chief Financial Officer, and provides fiscal support and guidance to IU's regional campuses. 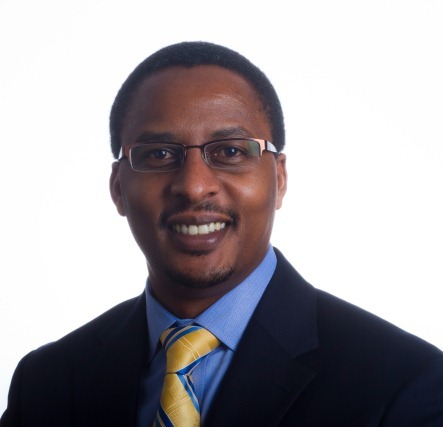 In this role, Yebei leads the Regional Campus Fiscal Council, which is a collaborative group of fiscal leaders from all of IU's regional campuses, and represents the regional campuses on the University Fiscal Council. Previously, he worked at IU Kokomo for seven years as Vice Chancellor for Finance overseeing budget administration and finance. In this role he oversaw campus fiscal affairs, administration, the bursar office, parking operations, events planning, and financial aspects of all campus auxiliary enterprises. He served on the campus executive cabinet, providing critical fiscal guidance to the campus executive leadership during a period of remarkable growth, and was appointed to serve on various university-wide committees, including the Fiscal Officers Development Series (FODS) steering committee. Yebei has also previously worked in budgetary administration and planning among other departments on the IU Bloomington campus. Yebei holds a Ph.D. in higher education administration from the IU School of Education in Bloomington, a Master of Science in applied health science from the IU School of Public Health-Bloomington, and a Bachelor of Education in technology from Moi University in Kenya. He is a member of the National Association of College and University Business Officers (NACUBO) and the regional and state affiliates (CACUBO/IACUBO). Yebei is also a member of Rotary and was the Treasurer of the Rotary Club of Kokomo Early Risers until February 2018.